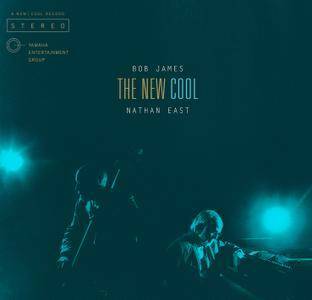 After 25 years of collaboration, Bob James and Nathan East are set to release their debut duo album "The New Cool" in September on Yamaha Entertainment Group. "The New Cool" marks new territory for legendary jazz pianist Bob James and bassist Nathan East, who’ve spent decades playing together in contemporary jazz quartet Fourplay but never before as an official duo. 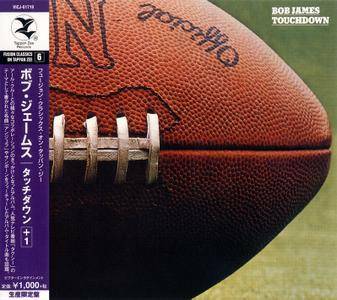 Bob James H was released in 1980 on his Tappan Zee imprint during his great run that began with Touchdown in 1978. Its immediate predecessor is the One on One duet album with Earl Klugh. James recorded it in the same way he'd been making records since joining CTI in the early 1970s: with a large, all-star studio group paired with a couple of top-flight soloists. The former group included trumpeter Jon Faddis, Randy Brecker, and Eddie Daniels; the latter features Grover Washington, Jr., Hiram Bullock, Airto Moreira, and Buddy Williams. Of course, hovering over everything is James' trademark piano, full of lovely if rote grooves and fills. The music revolves around breezy, easy themes and colorations, where the new contemporary (later, "smooth") jazz met lithe cinematic-style orchestral themes with some neat and tidy funk overtones. "Brighton by the Sea," with a tough soprano solo by Washington is a great example. Airto's hand percussion plays counterpoint to Williams drums, Gary King's deep, fretless, funk bassline holds the groove and Grover moves right into it, and then soars above it. This stellar work contains the elements of classical music combined with the influences of both Matsui and James thus creating a work that is partially written and partially improvised adding a lovely depth of feeling and intimate connection of artistic expression. The title of this piano duet release, Altair & Vega, refers to a Japanese folkloric tale about two stars in the galaxy that cross paths only once a year. The bonus DVD of a concert the two performed in 2010 in Pittsburgh at the Manchester Craftsmen's Guild clearly reveals a shared admiration and respect. 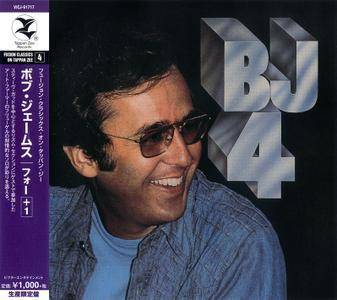 BJ 4 starts off promising with a flugelhorn solo from the great Art Farmer, but the music soon sinks into pure commercialism. 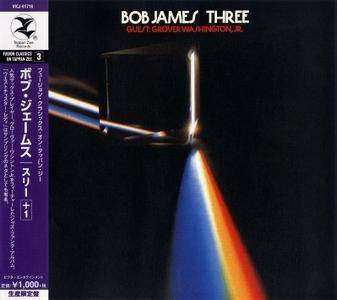 Bob James' keyboards are always prominent, as are the rather mechanical rhythms churned out by bassist Gary King, drummer Steve Gadd, and percussionist Ralph MacDonald. Although there are some catchy moments, the six selections (which all clock in between almost five and almost seven minutes) never seem to travel anywhere. 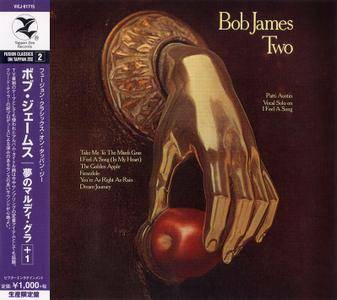 Farmer, flutist Hubert Laws and guitarist Eric Gale have short solos that are primarily used as props and for contrast before James takes back complete control. The occasional strings and woodwinds make the light funk music here seem a bit Muzaky, so this is one to skip. 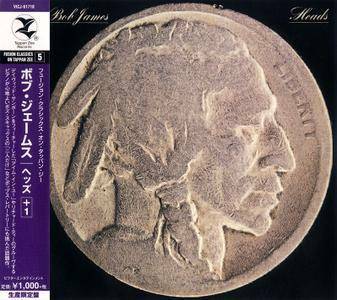 Bob James' most enduring recording is perhaps one of his least adventurous. Full of simple laid-back melodies, light, airy grooves, and quiet backdrops, it's a smooth jazz "masterpiece." It's an enduring part of his catalog and was the launch pad for many movie and television projects, and for a string of hit recordings for the Warner label in the 1970s, '80s, and '90s. In effect, it insured his financial security for the future. The set is notable for its heavyweight cast including David Sanborn, Ron Carter, Idris Muhammad, Steve Gadd, Eric Gale, Hubert Laws, and Earl Klugh. It also netted the monster hit "Angela (Theme from Taxi)," which continued to get airplay on smooth jazz stations into the 21st century. James is a highly developed pianist, arranger, and composer, and while the music here is as safe as milk, it nonetheless spoke to millions. 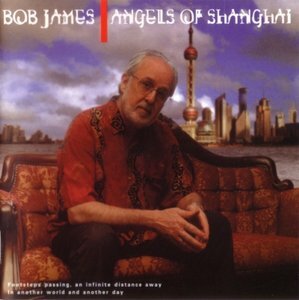 This CD holds a very special place in the heart of every true Bob James fan. This may be due in no small part to its sentimental value in relation to nostalgia. HEADS has an overtly sexual quality to it, as may be seen through it's titles (and the number five itself). Musically, it has much to offer. The title song features the interesting sound of the Oberheim polyphonic synth's "tinkle bells". The tour-de-force of the CD is his uptempo version of "We're All Alone", featuring pianist Richard Tee. Bob rides the disco wave in on his version of Peter Frampton's "I'm In You". 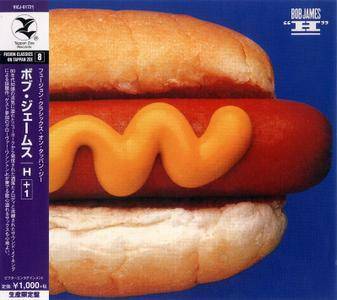 Both this and the original version of "Nightcrawler" feature saxophonist David Sanborn. Grover Washington, Jr. adds his special touch on "You Are So Beautiful". HEADS closes with an adaptation of Baroque composer Henry Purcell's "One Loving Night", something which can only be skillfully done by arrangers such as Bob James and Don Sebesky. With HEADS, you win! 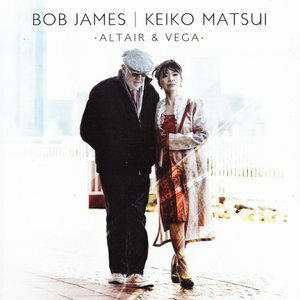 Legendary jazz artist Bob James presents his newest project, featuring Nathan East, Harvey Mason, Jack Lee and Lewis Pragasam. A unique East meets West musical exploration - contemporary jazz artists interacting with young musicians from Shanghai performing on traditional Chinese instruments. Ancient sounds blend with modern technology and creativity to produce an experience with no boundaries. 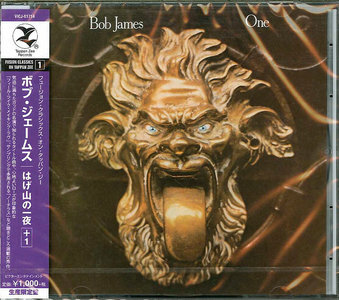 One is the third jazz solo album by jazz musician Bob James released in 1974. It was an important album in the early smooth jazz genre and is famous for its end track, "Nautilus", which became culturally important to hip hop as one of the most sampled tracks in American music.